The FWC unfair dismissal application form Form F2 contains broad guiding questions in relation to what you should include and provides space to answer these questions. You should ensure that you answer each question on the form. In general you should use numbered paragraphs, provide dates of events that occurred and who was involved in your dismissal. Keep in mind that the purpose of application is to outline all of the facts giving rise to your unfair dismissal claim and to support the criteria for an unfair dismissal application. You may need to refer to particular provisions of the Fair Work Act 2009 (Cth), but of primary importance is to substantiate your claim through consideration of what actions or conduct of your employer gives rise to your claim. There are four elements to an unfair dismissal application you must demonstrate in your application (section 385). the dismissal was not a case of genuine redundancy. You may attach your own statement of events and/or answers to the questions as a separate document to the form. To do so you should reference your attached document in each question box. If you do draft your own document, ensure that it answers the required information outlined in the form and criteria for an unfair dismissal claim. To be unfairly dismissed there must be an invalid reason(s) and/or unfair procedure taken by your employer. You must have been dismissed from your employmentThis element is addressed in Am I eligible to make an unfair dismissal application?The next three elements to be satisfied demonstrate the “unfair” component of an unfair dismissal claim.Question 3 of the FWC Unfair Dismissal Form F2 is about whether there was a valid reason and procedure taken in dismissing you from your employment.You should address any reasons given in dismissing you in question 3.1 of the FWC Unfair Dismissal Form F2 including why the reasons given are not valid.You should address the unfair procedural elements primarily in question 3.2 of the FWC Unfair Dismissal Form F2. Any other matters that the FWC considers relevant. 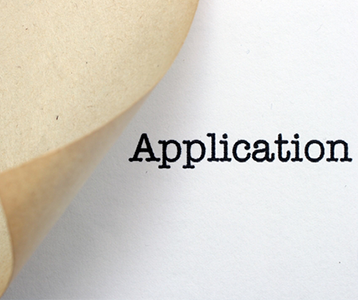 You should answer and address each criterion in your application as comprehensively as possible. One approach you may take is to list and provide an answer to each criterion individually in question 3.2 of the FWC Unfair Dismissal Form F2. If your employer is a small business employer, your dismissal must not have been consistent with the Small Business Fair Dismissal Code (section 388(2))Your employer is a small business employer if they are a national systems employer who employs fewer than 15 employees at the time of your dismissal. (section 23(1))The number of employees includes the dismissed employee section 23(4)(a) but only includes casual employees who are employed on a regular and systematic basis (section 23(2)(b))The Small Business Fair Dismissal Code is a separate document from the Fair Work Act 2009 (Cth) that is merely declared to be the Small Business Fair Dismissal Code (section 388(1)). In the case of summary dismissal, which Is when you are dismissed without notice or payment in lieu of notice, it is fair for an employer to dismiss you without notice or warning if they believe on reasonable grounds that your conduct is sufficiently serious to justify immediate dismissal. Fair dismissal also includes where your employer has reported the alleged theft, fraud or violence to the police on reasonable grounds. allowed you to have a support person to assist in any disciplinary discussions. Your employer is required to provide evidence of compliance with the Small Business Fair Dismissal Code if you file an unfair dismissal application (Small Business Fair Dismissal Code – Procedural Matters). There is a Small Business Fair Dismissal Checklist that provides further guidance about consistency with the Code. Do I have a right to know what allegations have been made against me and a right to the investigation results? Can I be dismissed for having a relationship with a colleague? I have been unfairly treated at work due to my political opinion, what can I do? Can I claim unfair dismissal against a small business employer?